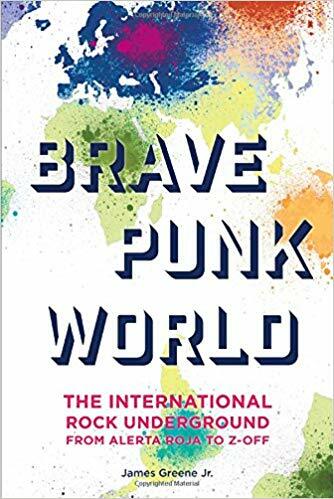 Brave Punk World – The International Rock Underground from Alerta Roja to Z-Off, James Greene, Jr. If you think Punk Rock started in Great Britain and the U.S.A. and mostly happened only there and if you are interested in bands from a lot of other country’s around the globe then you need to read this book. If you are a long time follower of Maximumrocknroll or the worldwide punk scene, you know about the global punk virus and some of this here might be old news for you, I also did read some stuff here that I never heard of before. The author introduces the reader to bands from 38 country’s (i.a. Japan, Yugoslavia, the Philippines, South Africa, New Zealand, Chile, Mexico, Poland, Burma, Singapore and Turkey).